el Instituto Normal para Varones de Antigua G.
Erected 1974 by la Legión de Santiago de los Caballeros. Location. 14° 33.819′ N, 90° 44.177′ W. Marker is in Antigua Guatemala, Sacatepéquez, in Municipality of Antigua Guatemala. Marker is on 7a Avenida just south of Calle El Chajón, on the right when traveling south. Touch for map. 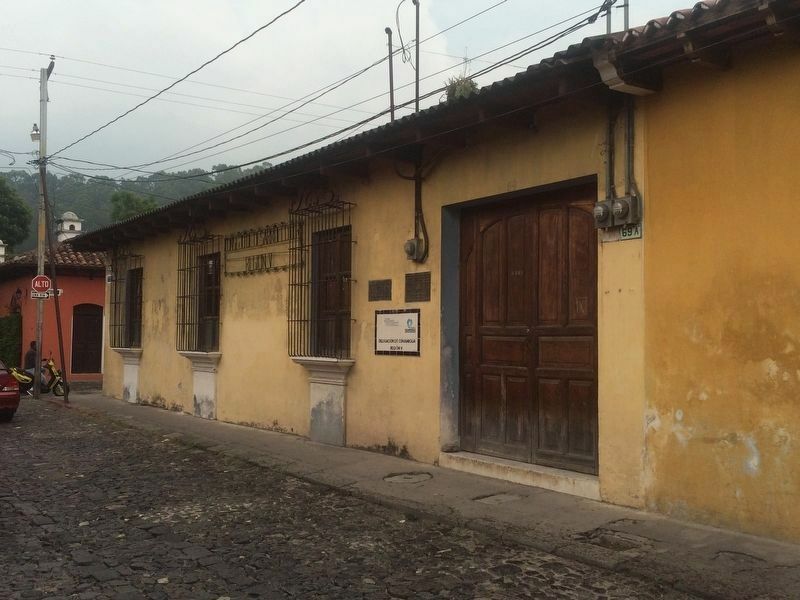 Marker is at or near this postal address: #69 7a Avenida, Antigua Guatemala, Sacatepéquez 03001, Guatemala. Touch for directions. 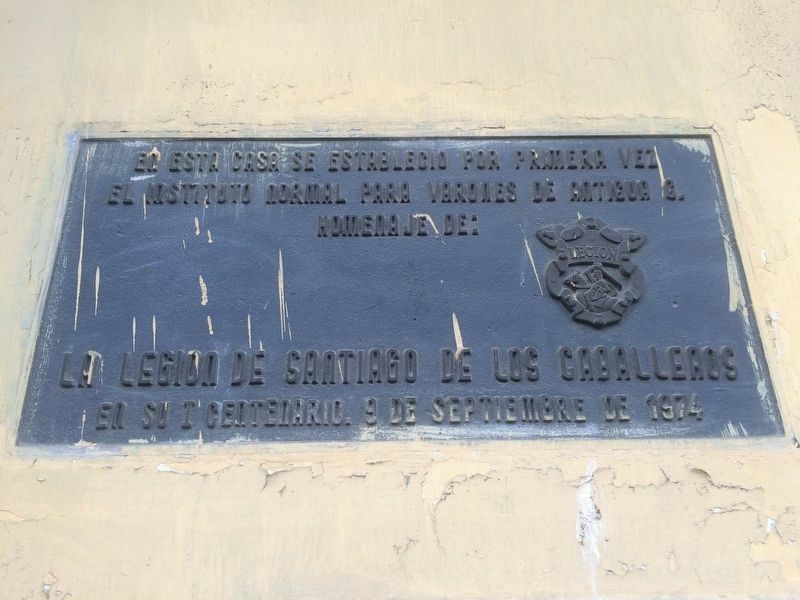 (about 120 meters away, measured in a direct line); Sebastián de Arévalo (about 150 meters away); Mariano Navarrete (about 150 meters away); a different marker also named Mariano Navarrete (approx. 0.3 kilometers away); Friar Bartolomé de las Casas (approx. 0.4 kilometers away); Workers Night School of Antigua Guatemala (approx. half a kilometer away); Signers of the Act of December 25, 1919 (approx. 0.6 kilometers away). 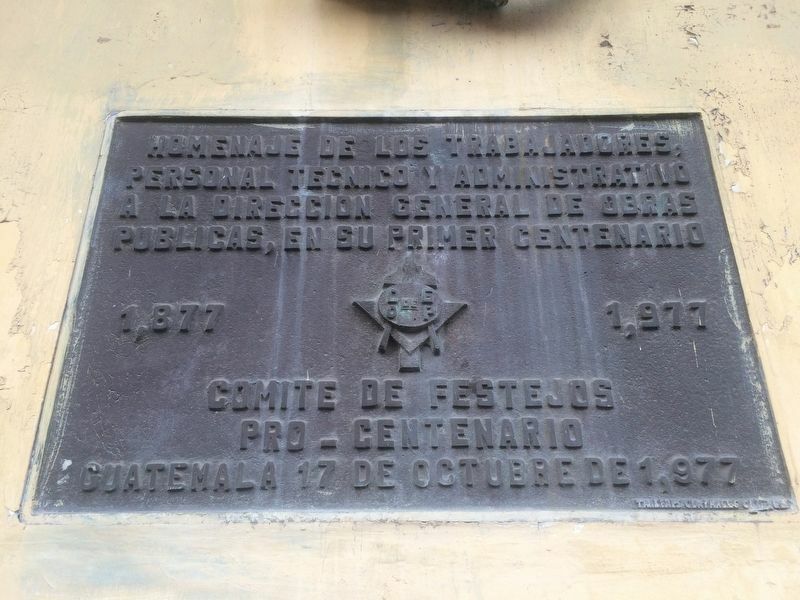 Touch for a list and map of all markers in Antigua Guatemala. The markers are to the left of the vehicle entryway. The building is currently used as a Council of Development regional headquarters. More. Search the internet for The Men's Teaching Institute of Antigua. Credits. This page was last revised on March 2, 2018. This page originally submitted on October 19, 2016, by J. Makali Bruton of Querétaro, Mexico. This page has been viewed 139 times since then and 4 times this year. Photos: 1, 2, 3. submitted on October 19, 2016, by J. Makali Bruton of Querétaro, Mexico.